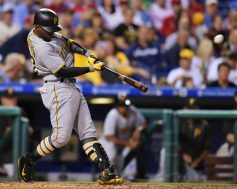 The Pittsburgh Pirates are fading fast in the race for the N.L. Central division title. 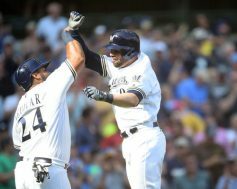 After losing their second straight game to the Milwaukee Brewers this afternoon at Miller Park, the Pirates are now four games under .500 and are drifting further behind their division rivals. Gerrit Cole and Jimmy Nelson battled their way through trying starts this afternoon, each earning a no-decision. Cole gave up four runs on five hits (including three homeruns) in six innings, while Nelson gave up five runs (three earned) on eight hits in 6.1 innings of work. The start of the Pittsburgh Pirates final series did not go the way anyone in the organization or fan base wanted. The St. Louis Cardinals proved that they have something to play for, as they chase one of two Wild Card spots, while Pittsburgh appeared to go through the motions. Zero runs, five hits, and two errors are no way to play spoiler to a division rival. 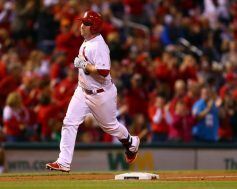 The Cardinals did not jump on the board until the third inning when Jedd Gyorko hit a solo home run off of Bucco starter Tyler Glasnow. Glasnow pitched five innings and allowed only the one run, to go with four strikeouts and four walks. He will need to work on his command if he wants to be effective at the Major League level next year. With five games left in the season and the Pittsburgh Pirates eliminated from the playoffs, it would be very easy for them to just go through the motions and limp off into the offseason. The first two games in this series with the Chicago Cubs have not been easy to watch, but tonight Pittsburgh put a complete game together and picked up an 8-4 victory. Next week at this time the Pittsburgh Pirates will be enjoying their first day of the offseason, though with their play as of late it appears the offseason began quite some time ago for them. On the other hand, the Chicago Cubs will be in awaiting their division opponent in the playoffs. Chicago continued to roll into October with a 12-2 victory over Pittsburgh to open this four game series. Kyle Hendricks would make the start for the Cubs tonight and continue to make his case for the Cy Young award. He would allow seven hits over six innings of work, while striking out five and not allowing a walk. This outing would also see him lower his ERA on the year to 1.99. Pedro Strop pitched a scoreless seventh, before Hector Rendon allowed the only two runs by the Pirates. In order for the Pittsburgh Pirates to keep their slim playoff chances alive, they need help on the outside, and have to win every night. 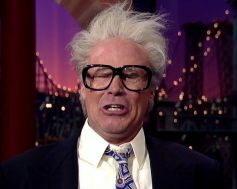 Their 3-1 loss to the Milwaukee Brewers tonight took the wind out of their sails after winning six out of their last seven games. Pittsburgh must now do a little scoreboard watching to see where they stand prior to their final home stand of the season. It has been a struggle to score runs for the Pittsburgh Pirates as of late. The offense has squandered opportunities and failed to cash in with runners in scoring position. 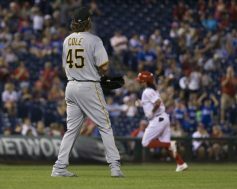 Tonight, though, the bats woke up in a big way, especially in the ninth inning, as the Pirates routed the Philadelphia Phillies 15-2 at Citizens Bank Park. 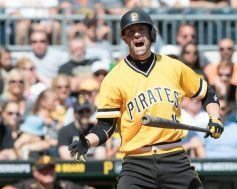 The Pirates hit five homeruns, including two by Andrew McCutchen and a three-run bomb by Jordy Mercer, while making this one a laugher with an eight run ninth inning. 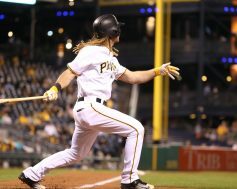 John Jaso homered in the first inning to get the scoring started, McCutchen homered in the fourth, and Sean Rodriguez homered in the fifth to make it a 3-0 score. It may be hard for some of you to believe, but there is still some season left for the Pittsburgh Pirates. Granted it is meaningless at this point, unless you are tracking what draft pick they will have in 2017. Tonight they opened a four game series on the eastern side of the state with the Philadelphia Phillies. The venue may have changed, but the result was the same as Pittsburgh dropped the opner 6-2. It is getting harder to watch, and even maintain any interest in what is left of the 2016 season for the Pittsburgh Pirates. Today they dropped the finale of their four game series with the Cincinnati Reds 8-0. This was their third straight loss to Cincinnati and it also capped a 2-8 home stand. At this point in the year losses might be better just to improve where they pick in the 2017 draft. 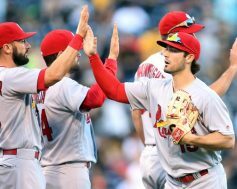 After a horrible weekend in which they were swept by the Milwaukee Brewers at PNC Park, the Pittsburgh Pirates were in desperate need of a strong showing against the St. Louis Cardinals this week. Unfortunately, the Bucs were overmatched from the onset today, as they were blown out by their N.L. Central rivals by a score of 12-6.